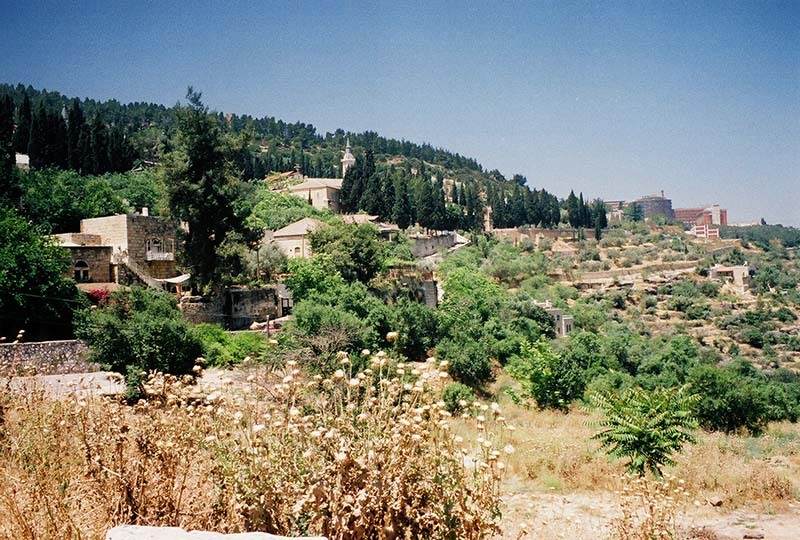 Just before we reach Bethlehem, we stopped in Ein Karim, a village south-west of Jerusalem. According to tradition, it is the “City of Judah” and is associated with the life of John the Baptist. Here John’s father, Zechariah, had his summer home. The church sits on the site where the house was situated. The present structure was built on the remains of former churches. This is where John the Baptist was born. The steeple in this photo belongs to St. John the Baptist Church, which commemorates his birth. This is where Mary came when she visited her cousin while the two of them were miraculously pregnant. 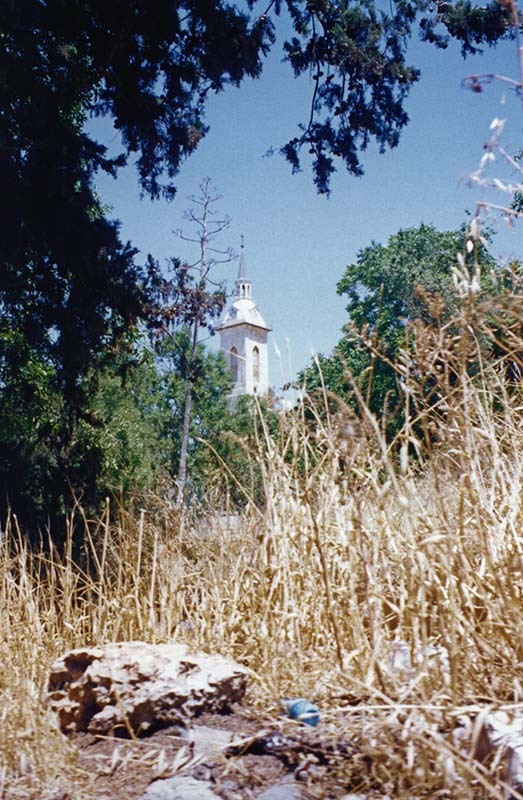 Find the steeple and church behind the Cypress trees in the next photo. This is the Church of the Visitation, on the site where Mary stayed in Elizabeth’s home. We will walk up to it along the little road on the side of the hill. Find the road and click on it!